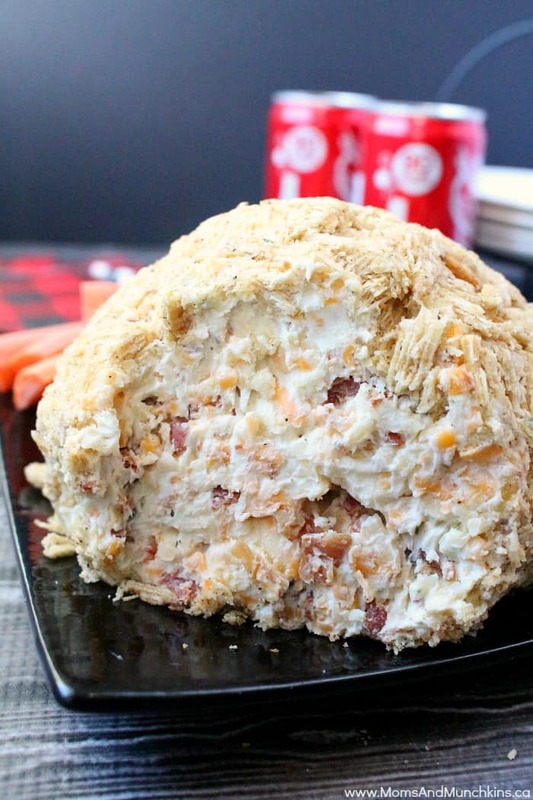 This Bacon Ranch Cheese Ball is packed full of flavor. 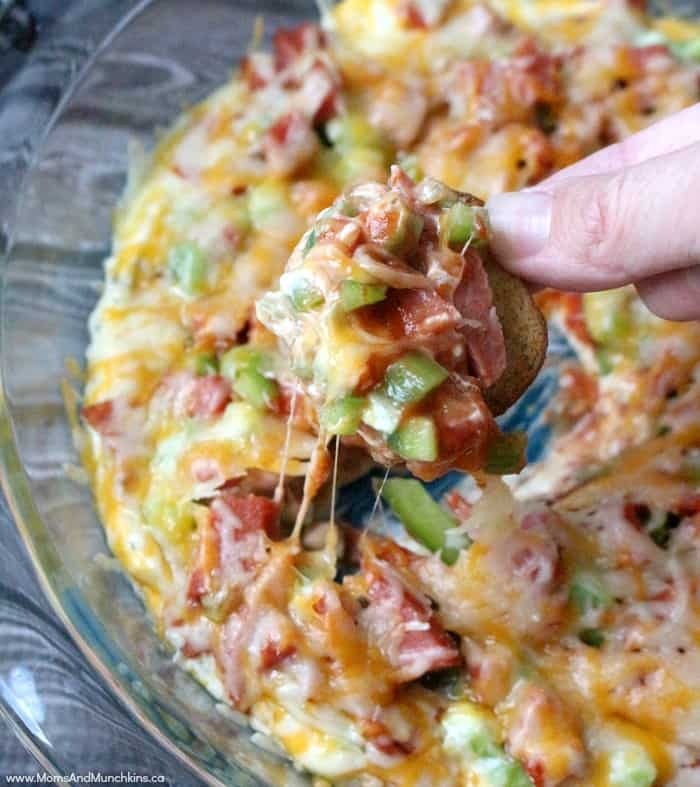 It’s great as an appetizer for parties, a potluck dish or just a lazy snack to eat at home with your family. I made this one a couple of days ago and it’s almost gone already. 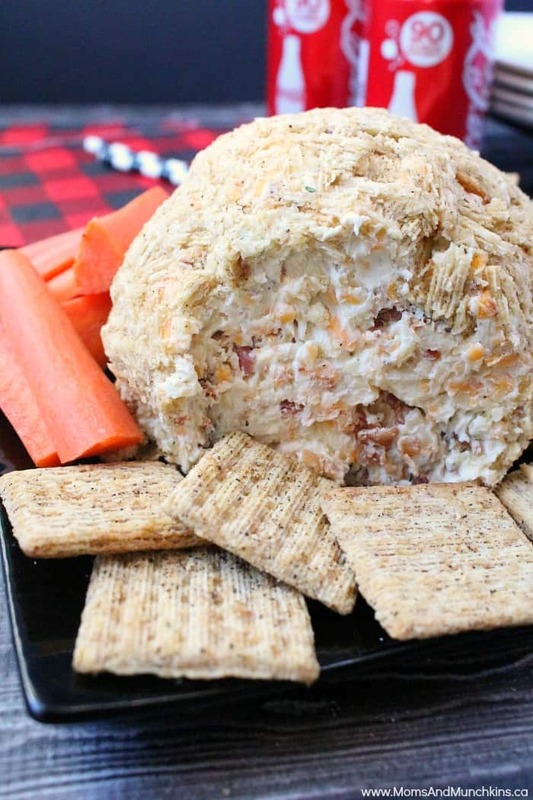 It’s really easy to make but remember to let it sit in the fridge for several hours before eating it so that the flavors have time to merge together for cheese ball perfection! 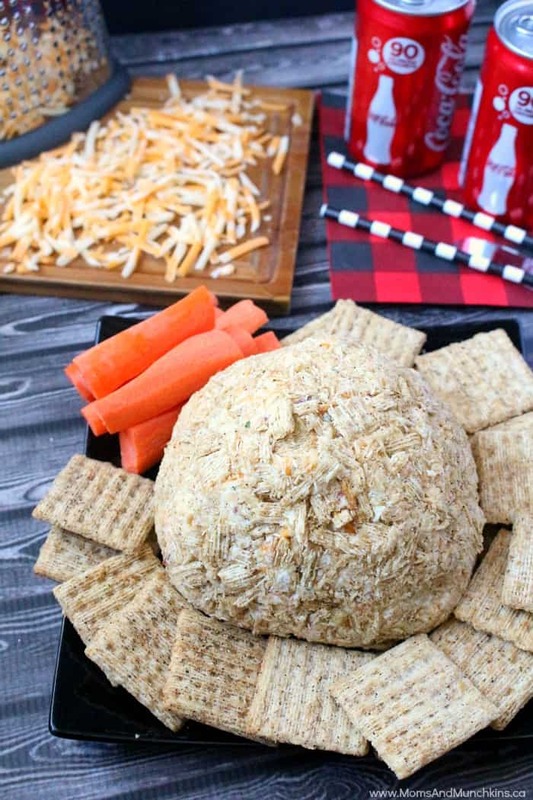 This would make a great game day party appetizer! You can serve this with crackers and vegetables on the side. Stir cream cheese until softened so that it's easier to mix the other ingredients in. Add dry ranch mix and stir well to mix. Add shredded cheese and bacon and stir well to mix. Form the mixture into a ball and roll in crushed crackers to coat. Wrap tightly in plastic wrap and store in fridge for several hours (at least 3) before serving. Serve with crackers and refrigerate leftovers. For more delicious appetizer & family recipe ideas, visit our Party Food & Family Recipes page. 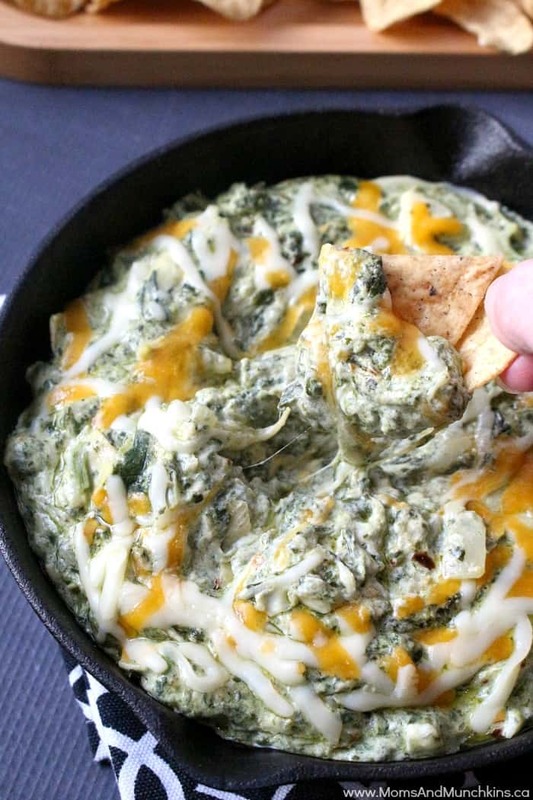 Hot Artichoke & Spinach Dip – even better than a restaurant version! 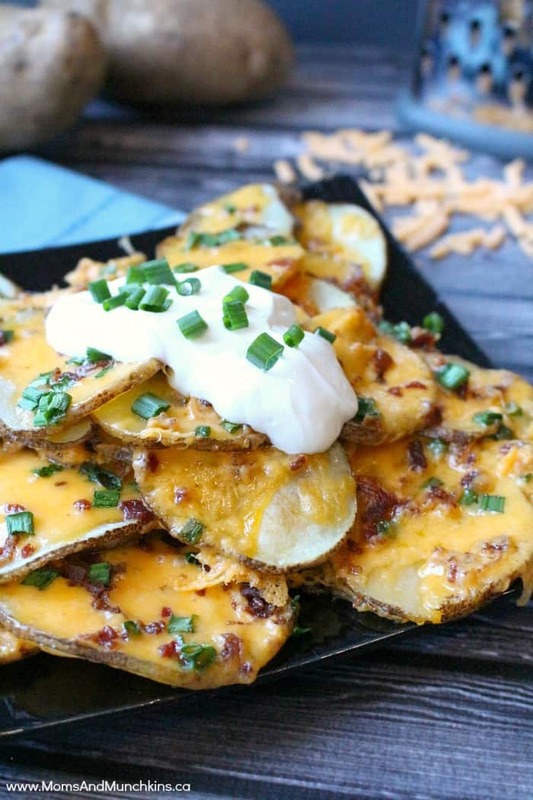 Loaded Baked Potato Nachos – a unique & delicious twist on the classic nacho recipe. 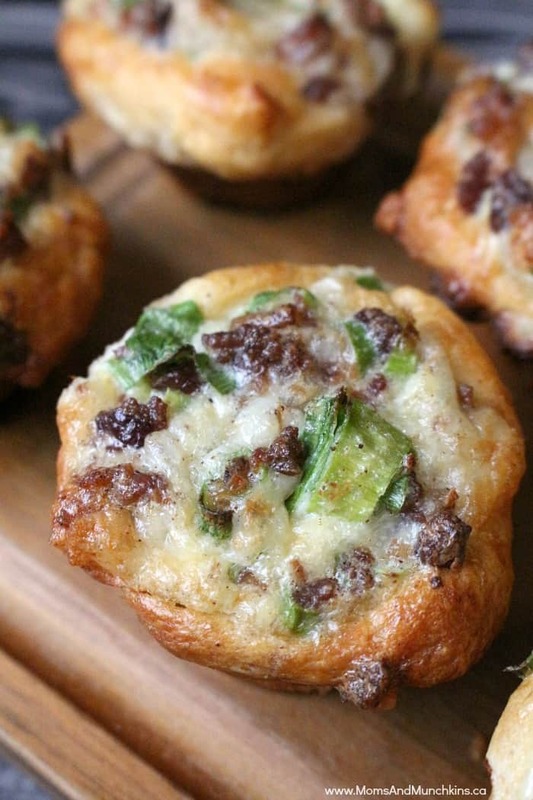 Bacon Cheese Tartlets – super easy to make and so tasty! We’re always adding new & tasty ideas for party food. Follow us on Facebook, Twitter, Pinterest, and Instagram for the latest ideas. These are great. Yum I will be doing this for my next BBQ and impress everyone!! Pinned to try later. 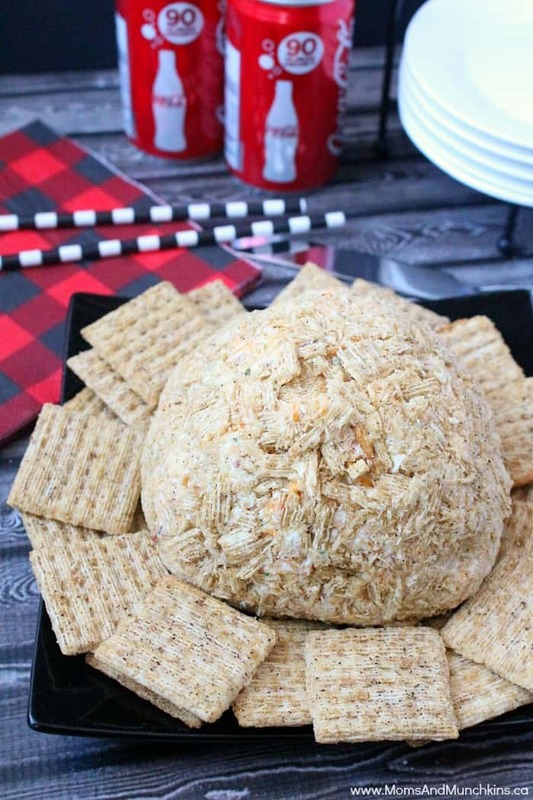 Love to make cheeseballs. It’s delicious! I hope you love it as much as we do!